Afforestation has been deployed as a mitigation strategy for global warming due to its substantial carbon sequestration, which is partly counterbalanced with its biogeophysical effects through modifying the fluxes of energy, water, and momentum at the land surface. To assess the potential biophysical effects of afforestation, a set of extreme experiments in an Earth system model of intermediate complexity, the McGill Paleoclimate Model-2 (MPM-2), is designed. Model results show that latitudinal afforestation not only has a local warming effect but also induces global and remote warming over regions beyond the forcing originating areas. Precipitation increases in the northern hemisphere and decreases in southern hemisphere in response to afforestation. The local surface warming over the forcing originating areas in northern hemisphere is driven by decreases in surface albedo and increases in precipitation. 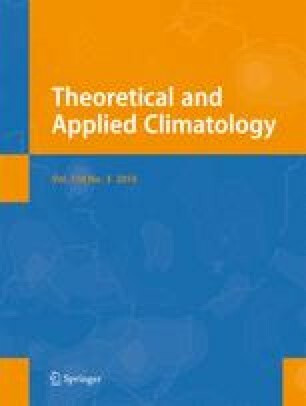 The remote surface warming in southern hemisphere is induced by decreases in surface albedo and precipitation. The results suggest that the potential impact of afforestation on regional and global climate depended critically on the location of the forest expansion. That is, afforestation in 0°–15°N leaves a relatively minor impact on global and regional temperature; afforestation in 45°–60°N results in a significant global warming, while afforestation in 30°–45°N results in a prominent regional warming. In addition, the afforestation leads to a decrease in annual mean meridional oceanic heat transport with a maximum decrease in forest expansion of 30°–45°N. These results can help to compare afforestation effects and find areas where afforestation mitigates climate change most effectively combined with its carbon drawdown effects. This research was supported by NUAA (Nanjing University of Aeronautics and Astronautics) Youth Science and Technology Innovation Foundation (grant no. 3082013NS2013068).